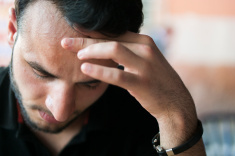 How Do I Know if I Am Separated From my Spouse? One of the first issues I discuss when I meet with a client is their “date of separation”. Most people know their date of marriage, but the date they separated from their spouse can be more difficult to determine. A lot is riding on this date as the accumulation of community property, such as an interest in financial and retirement accounts, can be affected by the date of separation. Also, the duration of spousal support can be impacted by the length of a marriage. Effective January 1, 2017, there is a new California Family Code §70 that defines “date of separation”. Example: Secretly deciding that you no longer want to be married and taking actions without your wife or husband’s knowledge does not mean that you are “separated”. Example: one spouse has opened a new bank account in their name only. Another example: one spouse moves out of the residence. Although living separately is not required to be considered “separated”. Some spouses continue to live together until their divorce is completed and the community property assets are divided. It may be too expensive to live separately, while the assets are still undivided. For instance, if the parties anticipate selling the family residence, they may continue to live there until the home is sold and the funds divided between them. This would not work if there are issues of domestic violence or one of the spouses wants to live with a new partner. Everyone’s story is unique and there may be circumstances where one spouse thought they were separated and the other did not. It is important to obtain legal advice early concerning your “date of separation”, to avoid mistakes that could cause you to lose spousal support or community property assets that you might otherwise be entitled. The divorce rate among couples over 50 is steadily rising. This trend is referred to as the “gray divorce”. When this type of client comes to see me they frequently have a long term marriage, with a life time of accumulated wealth, in real property, savings, investments and retirement accounts. 1. Lack of common interests or compatibility. The parties have grown apart after years of pursuing their own interests and hobbies, separate from each other. They may have very different friends and social groups. One party may have acquired additional education after the marriage and may have moved on to a different social group. 2. End of moral obligation. Some “gray divorce” couples stayed together through an unhappy marriage until their children were adults, believing that it was important to maintain a more stable home environment for their children. I find this is more prevalent in “gray divorce” than younger couple. Younger couples may feel that divorce is more socially acceptable; their children may have friends whose parents are divorced. and just want to live out the rest of their life free from the abuse. They understand that the division of their assets will likely force them to live at a much lower standard of living, but they have reached the point where it is more painful to stay in the relationship than to leave and face the financial consequences. 4. If you find yourself in a “Gray Divorce”, it is important to take the time to plan for your future and seek financial advice as well as legal advice from an attorney who is a certified specialist in family law. Family gatherings can be a tough time for you when you are going through a divorce, or have a child custody, visitation or support dispute with your partner. Did you talk about your divorce or family law problems at your last family get together? If so, your family and friends may be showering you with well meaning, and potentially harmful, advice. –Have a family member contact your spouse or partner to let them know they better accept your settlement proposal or else. Once you settle with your spouse or partner, resist the urge to discuss the details of any settlement in your case. Your friends and relatives don’t have all the details of your case and may be very emotionally invested in getting a specific result for you. Mistakes early in your divorce or family law matter can cost you money, including money you may have to pay your spouse or partner’s attorney in addition to your own attorney. Speaking to an experienced family law attorney may help you avoid costly mistakes. Angry or explicit social media posts, texts or email messages can make for some exciting reading in a child custody or visitation dispute. However, if you find yourself defending a post or text that you made when you were angry or less than sober, you may wish you could take it back. You may feel a great relief to finally get it off your chest when you tell your friends on Face Book why you believe your child’s parent is a horrible person or drug or alcohol abuser. Even better, you may feel justified in sending a string of angry email or text messages to your ex letting them know why they are a bad parent and don’t deserve to ever see their children. Of course you may have a first amendment right to free speech, but depending on what you say and where you say it, this “speech” can come back to haunt you. I frequently see copies of social media posts and email or texting rants attached to pleadings in cases requesting court orders concerning child custody/visitation and domestic violence. Your social media “friends” may also be friends with your ex and will download your snappy little rants, to use against you in court. Your angry or explicit email or text messages sent directly to your ex may also show up in court papers, if the ex believes it will help them prove their point, for instance, that you are unstable and should not have custody of your children. Despite warning clients not to do this, I find that people in emotional distress over the breakup of a relationship will lash out in these forums over and over again, only to regret it the next day. It is not unusual for your children to end up seeing these posts or text messages, either because they are also “friends” with you on this media or because someone else shows them the post. So many times clients contact me for help about the behavior of their former spouse or partner. Thousands of dollars in legal fees and costs are spent each year by parties who just want to feel at peace again in their lives. They may believe that forcing their ex to change his or her behavior towards them will make them feel better or improve their lives. They file requests with the court to demand that their ex change. In some cases, the other person is well aware of the pain they are causing to their former spouse/partner. Their conduct may be calculated to create distress and push buttons, as a form of retaliation for circumstances surrounding the breakup of the relationship, or as a calculated maneuver to reach a goal in the division of marital property or child custody or support. Other times, this person has moved on and is completely oblivious to the pain of the other party. Regardless of the reason, you do yourself no favors by dwelling on the conduct of this other person and in fact, will likely cause yourself to incur substantial additional legal fees and costs chasing the dream that one day there will be a substantial change in their behavior towards you. You must look for a way to find your own inner peace and realize that many more have come this way before you and have survived and even thrived in their new lives. Divorce After 50. Will You Survive? Will it ruin your golden years? 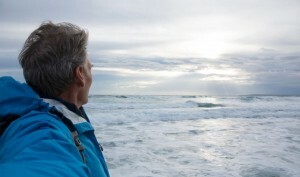 Maybe – if you don’t have a plan for your future beyond divorce. Dividing your retirement accounts, real property, bank accounts and other assets can change your plans. It can be devastating if you were not expecting a divorce. Contact an experienced family law attorney to help you. Your first instinct may be to contact your spouse and negotiate with them or try to reconcile. While this is always an option, you need to keep in mind that if you live in California, you have 30 days, after you are served, to file a response with the court. There is a specific court form that you need to file and the court charges a fee, unless you qualify for a fee waiver. It is not enough to fill out the correct court form and mail a copy to your spouse or their attorney. 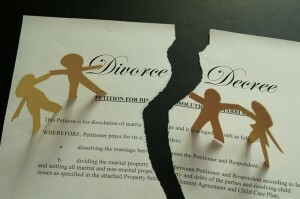 You must file the Response with the court clerk in the county in which your divorce action is pending. If you fail to do this within the required number of days, your spouse can apply to the clerk of the court to take your default. This affects your rights and may impact the property, custody and/or support orders made in the court action. Having accurate information will increase your odds of receiving a fair settlement or court order in your family law matter. Whether you ultimately decide to hire an attorney or not, consulting with a family law attorney will provide you with valuable information and insight into the legal process. Are you ready for your divorce in California? Know your rights before you begin. Before you head to the court house to file for divorce you may want to speak to an attorney about your legal rights and what you could expect if you decide to file for divorce in California. 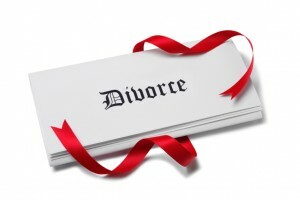 It may be too late if you file for divorce and then start thinking about your divorce plan. Are you really ready to dissolve your marriage, or is the threat of filing for divorce being used to change the behavior of your spouse? Most marriages go through difficult times and many survive. Is this a temporary dissatisfaction, or is there something more serious going on? Every marriage is different and you are the only one who can answer these questions. How will this affect your children? If you have children, this is a serious decision. A divorce can limit the amount of time you can spend with your children. Your conduct toward your spouse or children during this time can impact your ability to spend time with your children in the future. Proper planning for a divorce can make the difference between thriving after a divorce and complete financial meltdown and bankruptcy during and/or following the divorce. Meeting with an attorney who specializes in family law can help you properly plan for your future. You may have questions about the California Family Code concerning child custody, visitation, child and spousal support, division of real property, pensions or retirement accounts, business interests, and division of other property and debts. Are you ready for your divorce? Protect your rights. Know the law in California before you file for divorce. How Do I Find The Right Divorce Attorney? Many people struggle with this when their marriage is breaking up and it causes a lot of stress and sleepless nights. If you are reading this, you are probably considering hiring an attorney. Some people appreciate the comfort and security of knowing they are not alone if they have to go to court; that someone will be sitting beside them when they have to face a judge or their ex-spouse. Some people need an attorney because their divorce and family law issues are complicated and they don’t want to make a mistake or leave money on the table. Some fear their ex-spouse or partner and cannot imagine they will get a fair deal without help. How do you find the right divorce attorney? What are you trying to accomplish? Some people want to mediate, others know this is not the right approach, based upon their spouse or partner. If you just want to hire an attorney and don’t want to consider mediation, that’s OK.
Each attorney will have their own experience and approach. Some attorneys are more aggressive than others. When interviewing attorneys you should take this into consideration. If you pick an attorney who does not match your personal style and goals, this may lead to greater tension and stress for you during your divorce. Going through a divorce is (hopefully) a once in a lifetime experience and your emotions are raw. You may surprise yourself, behaving in odd and unpredictable ways. You must be able to rely on your attorney and his or her advice. Some clients “just want to get it over with” . This may not be the best move and is likely a result of your increased stress and fear of uncertainty. Consider your attorney’s demeanor when you hire them. Some attorneys are more willing to go along with a client’s demand to settle a case quick, others will counsel the client to pause and take more time to consider their settlement. Which attorney are you more comfortable with? How much money are you willing to pay an attorney? What is your budget? The more experienced attorneys will be more expensive. When you meet with potential attorneys, consider their experience and hourly rate. Is your case simple or do you have multiple unresolved issues? Clients who feel that they will need to engage in lengthy courtroom battles should be prepared to spend considerably more than a client who has already worked out an agreement with their spouse and merely needs an attorney to write up a marital settlement agreement. Have you considered your future beyond divorce? It is helpful to map out your divorce strategy and goals, just like you would plan your investments or retirement accounts, with an end goal in mind. Make sure your attorney shares your goals. Discuss this in your initial interview and consider this when making your final decision to hire an attorney. Consider hiring a certified specialist in family law. What is a certified specialist ? The State Bar of California certifies attorneys as Family Law Specialists who have demonstrated proficiency in the specialized field of family law. What does the State Bar require to certify an attorney as a specialist? A Certified Specialist is more than an attorney who specializes in a particular area of law. Technically, an attorney cannot refer to themself as a specialist unless they are certified by the State Bar. 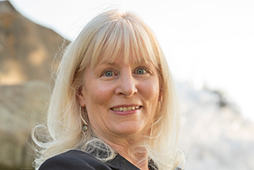 A California attorney who is certified by the State Bar as a Family Law Specialist must have (pursuant to the State Bar of California Board of Legal Specialization): Taken and passed a written examination in Family Law; demonstrated a high level of experience in Family Law; fulfilled ongoing education requirements; and, been favorably evaluated by other attorneys and judges familiar with her or his work.